Ranchi has the distinction of being a Smart City. It is the capital of the state of Jharkhand and its inclusion into the flagship scheme of PM Narendra Modi is a matter of proud for the people of Jharkhand that rely on Ranchi for everything from education to job and medical. There is a mix of allopathic, ayurvedic, Unani and allopathic medical facilities in Ranchi. But these hospitals rely on nearby cities like Patna and Kolkata for medical help. Recently introduced air ambulance services in Ranchi is a big step in this direction as it connects Ranchi with world-class healthcare facilities. Airport: Birsa Munda Airport provides air ambulance connectivity to Ranchi. 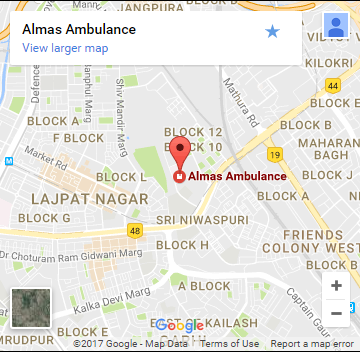 There is a reason to choose Almas ambulance service over others. The services provided include air ambulance, rail ambulance and road ambulance with Basic Life Support and Advance Life Support.